Happy Birthday, Leo! Prepare for a busy month with lots of activity as the planet of love, Venus, will occupy your 2nd and 3rd Houses this month and Mercury (Communications, travel and intellect) will be moving into your 1st House, bringing about some positive developments. As August begins, Venus will occupy your 2nd House of finance. Expect to be the recipient of more money, more appreciation and more love when it comes to those people and relationships you place a high value upon. Your financial picture is highlighted and offers to grow will be presented to you. On 8/16 - 9/11, Venus will transit Libra and your 3rd House of groups and friendships. During this transit, your social life speeds up, someone from your past reappears and group involvements tend to bring better than average results. A New Moon occurs in your sign on 8/6. In Astrology, a New Moon in your 1st House is a time to plan ahead for the coming year. It is a high cycle time and one in which to focus on your hopes, dreams and aspirations for the next eleven months. Circle this date on your calendar as it brings news, a celebration and offers to expand your social, romantic and professional life. It all depends on your intentions, your hard work and where you have exerted the most energy. The New Moon will bring offers that allow you to put your plans into motion. Mars (Physical Energy/Motivation/Drive) opens the month in Cancer. Cancer is your 12th House of seclusion and privacy. Mars in your 12th House can influence your ideas and concerns about issues from long ago and far away. The good news is that Cancer is an intuitive water sign. Mars in Cancer will boost your imagination and enhance your intuition this month. You will know without knowing who you need to keep in your life and who needs to go. The same applies to your finances, Leo. Some expenses could use a trim and might be considered unnecessary. Listen to your inner voice and do not ignore warning signs or red flags when dealing with banks, your finances and or a friendship. Mars will enter your 1st House on 8/27 - 10/15. 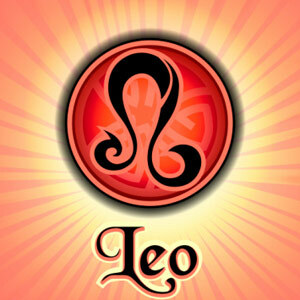 Expect the pace of your daily life to become fast paced and exciting once Mars enters your sign, Leo. Good news, Leo! Mercury (Communications) will transit your 1st House beginning on 8/8. During this time, you feel more in control of your communications. Conversations will run smoothly and you feel better in general about your personal and professional affairs. Mercury begins the month in Cancer, entering your 1st House on 8/8 - 8/23 and then entering Virgo, the sign it rules naturally from 8/23 - 9/9. A Full Moon occurs in your 7th House of Aquarius on 8/20. Aquarius is your 7th House of marriage, business partnerships and legally binding contracts. This is the second Full Moon in your 7th House and you can expect relationships to experience some communication snafus or misunderstandings on this date. You might not understand where a partner is coming from, personally or professionally. You could feel out of sync with your partner and find that you might need to make some changes where an ongoing drama is involved. Realize that you are the company you keep on this Full Moon, Leo. Be selective about who you choose to associate with on every level. A Taurus, another Leo and an Aquarius will be involved.